THE ANSWER FOR OILY, SPOT PRONE SKIN? After 1st use – Skin feels purified, soothed and looks oil-free. After 7 days – Overall appearance of skin is improved. 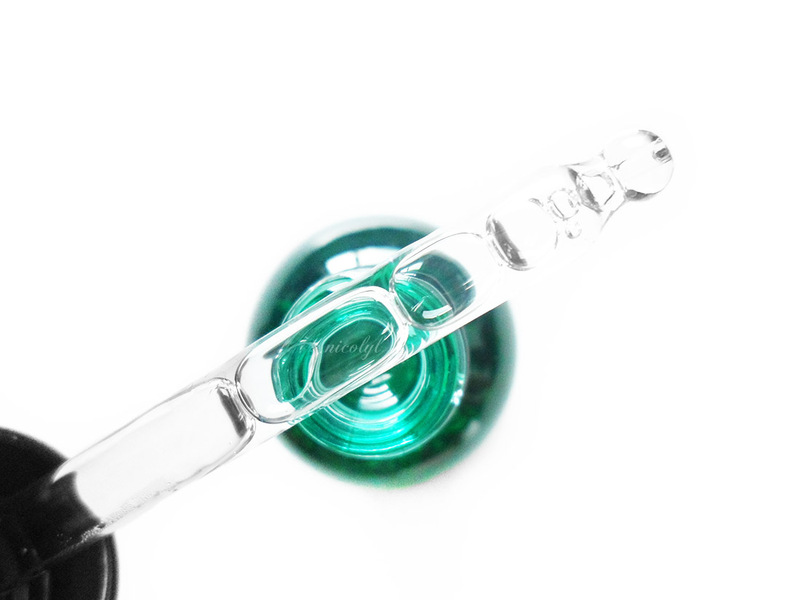 Skin looks clearer, smoother and healthier, with no pore-clogging effect. After 4 weeks: Skin looks and feels purified, clearer, smoother, healthier, clarified, mattified, soothed, with reduced redness and imperfections. Usually, The Body Shop’s Tea Tree range is a godsend for me, unfortunately, this didn’t agree with me. I’m so sad about this especially after reading all of the positive reviews online. I needed 3 drops for my whole face after toner. The consistency is watery, non greasy and does has a slight cooling effect upon application. It does have a noticeable tea tree scent which may be a bit too much for some. I quite like the scent as I think it’s quite refreshing, or maybe I’m use to it. The solution was absorbed into the instantly without leaving a greasy or sticky feel. It is actually soothing and was instantly mattified. It can be drying at the same time. I had used this in the evening for the first time and woke up with some painful spots on my cheeks but didn’t think much of it. Had used it in my morning skincare routine and my skin had started to feel a bit dry after moisturising. A few hours later, my face was a greasy mess and had felt really uncomfortable. After using it for a week, I had broken out even more and didn’t see a decrease in spots and sebum production. I had to blot more frequently on a daily basis. Unfortunately, I couldn’t hack it any longer and had stopped using it after a week. I had the same experience with their toner and the common ingredient in the toner and this solution is alcohol denat. I had spoken to The Body Shop assistance about this and she said it’s natural due to the tea tree oil and that it wasn’t the alcohol causing this. I was adamant it was the alcohol as some of their other products in their Tea Tree range, that doesn’t contain it, doesn’t make my skin worse. Once I’ve stopped using this, my skin has gotten a lot better and is back to normal now. I do love the bottle and the dropper. For some strange reason, I always love a product that has a dropper. It makes me feel like a scientist. Oh the little things. If you have oily skin yet are sensitive to alcohol, this isn’t for you. This comes in 30ml and 50ml bottles. What’s you’re favourite facial serum? oh no, can't believe this broke you out, I'd always thought tea tree did the opposite of that. It's a shame u didn't get on with it. I've not tried there tea tree range but it does sound like it must be the alcohol in it if the other products the range without it are fine on u. It's really too bad this product had such a bad reaction on your skin. It definitely sounds like the alcohol is the ingredient that is causing the reaction since the other tea tree products without alcohol don't cause this for you. I've had a similar issue with tea tree oil. It's too harsh for my skin. Aww, that's a shame! I really have had similar issues before as well with many skin products. I have super sensitive skin which makes it pretty tough to find a good product. Hi Nicol, Thanks for the honest review – usually I only see reviews raving about a product. It's a good reminder that things don't always suit our skin. Great that you managed to workout what might be disagreeing with you! This sounds perfect on the website and I was thinking of picking it up – it's a good job I read your review first! I can't believe it broke you out! Lately I've been using a few serums from The Oridinary. Their retinol and Vit C serums are wonderful! I have one of this sitting in my cabinet. I bought it long ago but I just don't feel like using it up to now. Odd how they'd use the alcohol in some of the products but not other and the others are fine, kind of makes it obvious what the problem is! That's such a shame that it irritated your skin. I think you're right about the alcohol in the product irritating you. I found this very helpful as someone who has always struggled with oily skin. Thank you! 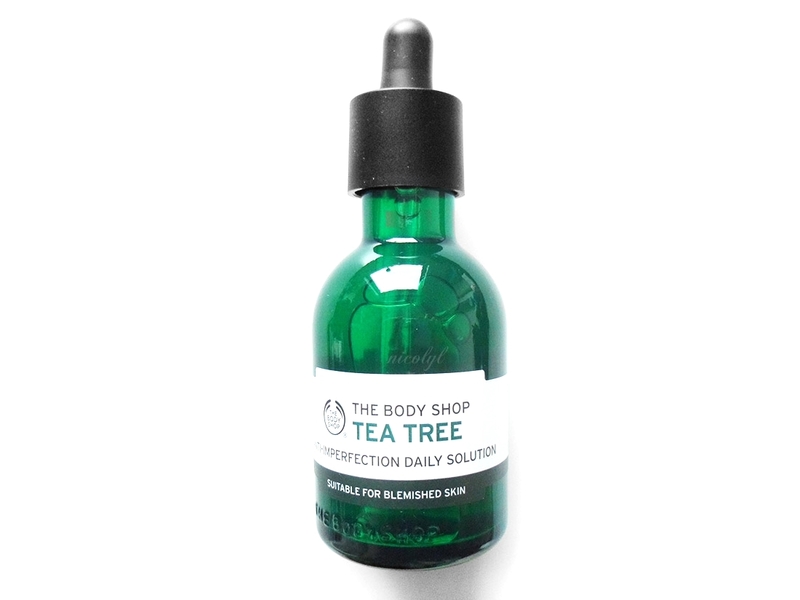 Shame the results weren't good, tea tree does seem to be a hit and miss product when it comes to skincare.